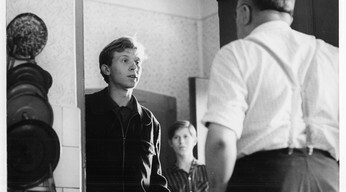 This film tells the story of Andula, a small-town factory worker who becomes involved with a piano player from Prague. When she no longer hears from him, she suddenly decides to go to the capital city and search for him. Milos Forman will attend the screening of THE LOVES OF A BLONDE at the Filmpodium on October 3, 2010 at 17:15. Please note: this screening has been brought forward and will now take place at 17:15 and not at 18:15 as announced in the catalogue. For tickets and more information please click the “buy tickets” link.